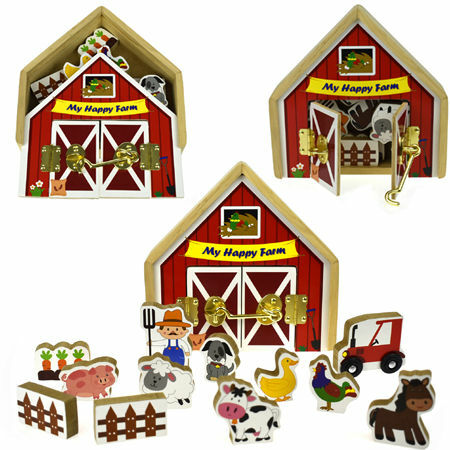 Metal Latch Farm Playset is a lovely set which includes everything you need to get to work farming. The box for this toy has a sliding lid and a lovely golden latch which will encourage and test those fine motor skills. When you have unpacked the box you can stand it up to make the barn with either open or closed doors. A lovely set which will encourage roleplay. It is really fun to identify the animals and make the farm yard noises. We like this because: "Love it when the box is part of the playset." Thank you for your prompt service, goods arrived all safe. Will definitely be shopping with you again!